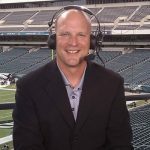 At the minimal cost of a 2020 sixth-round draft pick that could become a fifth-round selection, the Eagles put the cherry on the top of a complete and effective free-agency period when they acquired running back Jordan Howard from the Chicago Bears last week, filling in the last obvious “need” on a roster that is about as complete as any team in the league heading into the NFL Draft pre-period. What can you expect from Howard? He’s a tough, hard-nosed running back who the Eagles think will fit into their offense with his north-south style, his ability to move the chains (he converted 74 percent of his runs on third and fourth downs of 2 yards and fewer last year) and his nose for the end zone (Howard has scored 24 touchdowns to go along with his 3,370 rushing yards in three NFL seasons). Howard is durable and reliable and he is the leading contender at this moment to lead the Eagles’ running game this season. Howard isn’t going to be the kind of flash-and-dash running back who leads the league in rushing. The Eagles think that Howard is right for this system, whereas Howard’s numbers dropped in Chicago since his Pro Bowl rookie season of 2016. Matt Nagy became the head coach of the Bears in 2017, changed the offense, looked for running backs who can be more dual-threat players in the Bears’ spread offense. With the Eagles, Howard is going to run the football. He may have a catch or two or three as a check-down option, but Howard’s strength is to tote the rock. And he’s going to do that with the Eagles, likely in some kind of “committee” system because that’s what head coach Doug Pederson likes to do. Having Howard in the backfield gives the Eagles a legitimate running threat, and his presence is going to open up opportunities in the passing game for DeSean Jackson, Alshon Jeffery and the dangerous corps of pass receivers. The offensive line should be a strength, too, and Carson Wentz’s run/pass options become more dangerous with a back like Howard, who, while he may not rip off 60-yard gains on a regular basis, almost never loses yardage, either. The Eagles are going to spread the football around to a variety of weapons.